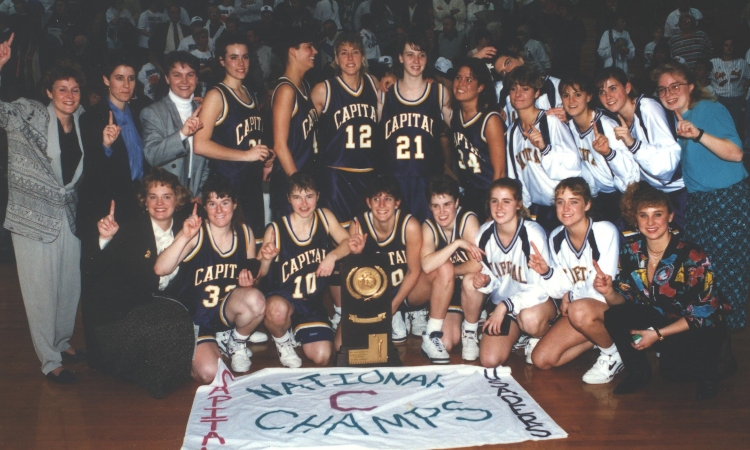 Capital University women’s basketball team fell nothing short of spectacular as they became the first women’s basketball team to win back-to-back Division III National Championships in 1994 and 1995. 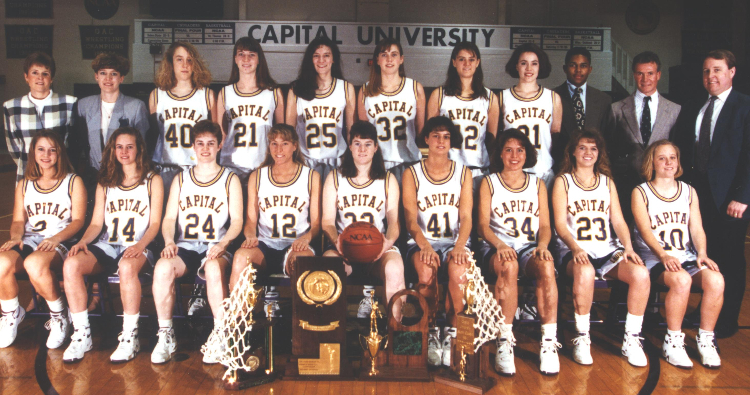 Leading the women’s basketball teams to its success was coach Dixie Jeffers. Jeffers had the distinction of being the first Division III coach to win National Coach of the Year honors in successive years (1994 and 1995). Her 20-year career ranks among the top-10 all-time in wins and winning percentage.